For 55 years, Dunlap Restaurant has provided a friendly hometown atmosphere with great food seven days a week. Whether you stop by for breakfast, lunch, or dinner, our doors are always open to hungry folks in Dunlap, TN and surrounding areas. Just make sure to bring your appetite! The menu at our full-service family restaurant has all the classic dishes you love. Choose from our Tennessee ham breakfast, tasty plate lunches, seafood, or steak, all made from the freshest meat and produce. And for the sweet tooth, we have delicious homemade desserts available every day. Don’t feel like cooking? Come visit us! We’re open seven days a week. 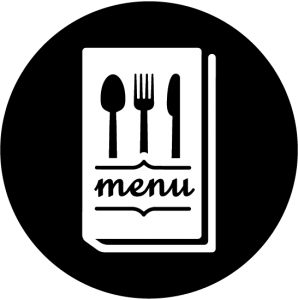 Our friendly staff can tell you about the wide variety of menu items we feature. Call ahead to find out today’s vegetables or to ask about any specials we have. We feature local produce in season for the freshest tastes in town. Try our new smoked meats or bring the whole family out for our very popular Saturday night steak specials. Our regulars just can’t get enough! Another one of our customer favorites is our all-you-can-eat fish fry every Friday night. Come for the delicious catfish, stay for the friendly atmosphere. You’ll feel like family when you dine with us. Do you have a birthday party, class reunion, or church dinner coming up? Use our catering service for your special event so you can focus on having fun. We know your guests will love our homemade Tennessee cooking. Call us for daily menu items or to place a to-go order. Or just stop by whenever you’re hungry and we’ll be waiting to welcome you. We look forward to seeing you soon! Cash, Visa, MasterCard, Discover, and American Express accepted.